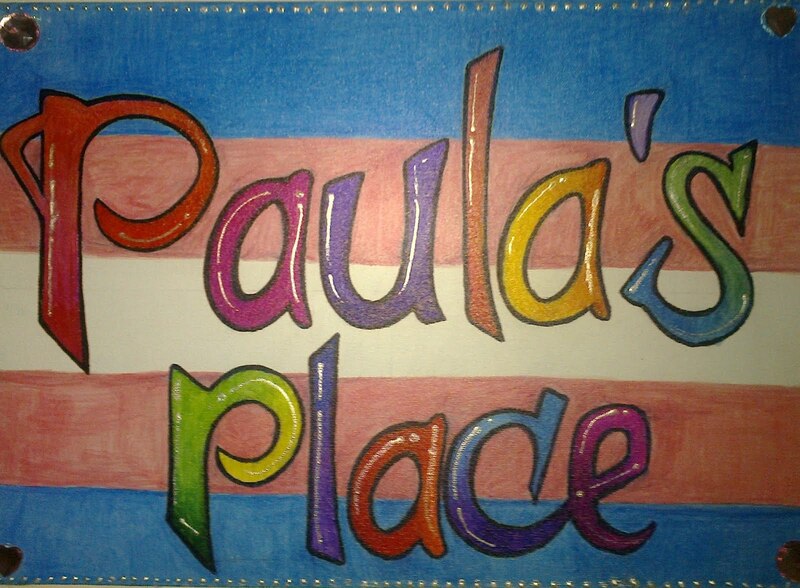 There's so much I want to write about at the moment, I feel a big piece coming on about why it is such a bad thing to misgender a trans person. Just at the moment I could manage a serious diatribe about the idiot who put other people's lives at risk last night, but fortunately only managed to take out a corner of my van. I also want to spend some time putting together an update on how it feels to be Christian and trans and exactly why I know God to be a big part in my transition. I want to do all of this, but over the last few days I have lacked energy and enthusiasm, and over the next few I'm going to be busy again. Since I have not really done anything so far this year it will be nice to get busy again, to have a reason to get up in the morning, go to work in the open air, use some muscles and still have something to look forward to doing in the evening. It won't be long before I start complaining again, I am doing something every evening this week, but everything I am doing is something I want to do! Tonight was the first meeting of the year of the Croydon Brass Band, we had a long talk about where the band is going, our future, what we want to get out of the band, and how the band can best serve the local community. We have some ideas that are very exciting, they will take a lot of work to pull off, but if we can do it, we could be inventing a whole new way of doing Brass Band. Brass Bands have been active round here for a long time ~ I played in the Centenary concert of the Crystal Palace Band and I conducted the centenary concert of the Croydon Band. They do a lot of playing, most bands rehearse every week, they will play in several contest through winter and play loads of concerts through the summer. Most bands have flamboyant uniforms and carry the name of their home town or district. Yet, yet I suspect that most people don't know they even have a local band, children leaving school don't know where to go to play, councils don't know who to book for civic events; they think Brass Bands died out half way through the last centenary, yet we are here and we are active. When the Croydon Band started in 1911 it was as Croydon Temperance Band, later on it became the Croydon Co-Op Brass Band supporting and being supported by the Co-Operative movement. 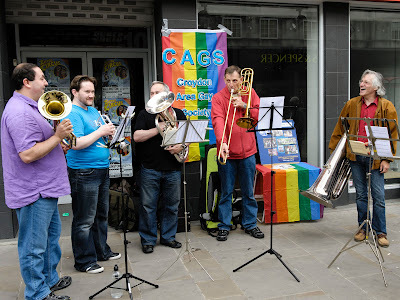 After the collapse of the South Suburban Co-Operative Society it became Croydon Brass Band again, but carried on in a traditional way, playing for local events, garden parties, and ceremonies. Now we think we need to do something new, to make ourselves more relevant to the 21st Centenary to look forward rather than looking back. You can probably tell that I'm quite excited by all of this, now we've had the idea we need to get down to the nitty gritty work and make it work, lots of planning, lots of publicity, and lots of preparation. Have we found a new way of doing Brass Band, or are we barking up a blind alley? Well we'll know in a few months!